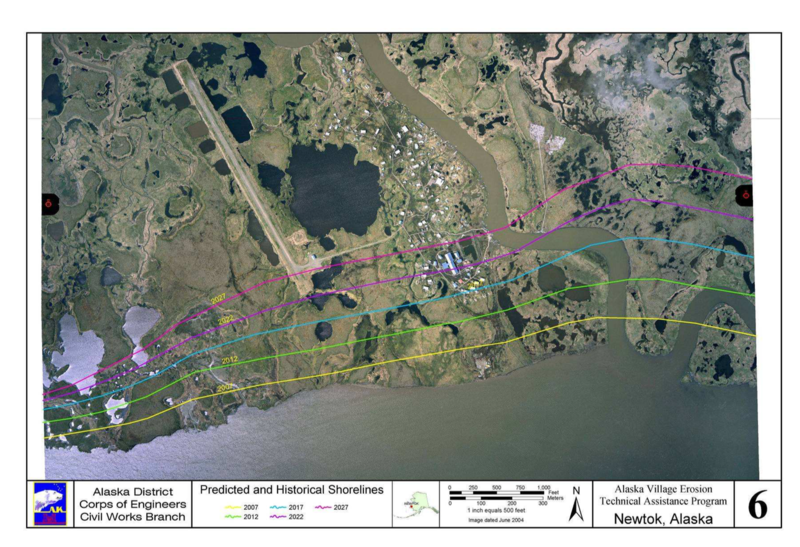 This report was prepared as a response to legislation that directed the U.S. Army Corps of Engineers (Corps) to investigate issues surrounding erosion at several Alaska Native villages. As part of this effort, the Corps examined erosion rates and control, potential relocation, and impacts to Alaska Native culture and tradition. The Alaska Village Erosion Technical Assistance (AVETA) program is a compilation of efforts in numerous communities funded through the Tribal Partnership Program and subsequent legislation. Specifically, this report documents the responses to questions raised in the Consolidated Appropriations Resolution, 2003 PL 108-7, Division D - Energy and Water Development Appropriations, 2003, Conference Report (H.R. 108-10, page 807), Senate Report (S.R. 107- 220, page 23), and HR 108-357, Section 112, page 10, Conference Report Energy and Water Development Appropriations Bill, 2004 with regards to the communities of Bethel, Dillingham, Kaktovik, Kivalina, Newtok, Shishmaref, and Unalakleet. The questions asked were: what are the costs of ongoing erosion, what would it cost to relocate a community, and how much time do these communities have left before they are lost to erosion. This report documents the wide variety of efforts the Corps is undertaking through Tribal Partnership funding to address ongoing erosion problems in Alaska. Many issues related to erosion protection and community relocation are also discussed in this report. Most importantly, each village has a summary of findings that explores solutions for these most critical villages. This report also describes other Corps efforts such as the Baseline Erosion Assessment, which documents the Corps strategy to address erosion in Alaska both now and in the future.